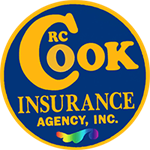 Get your free liability insurance quote from RC Cook Insurance. Call 330-296-3628 for more information. We're located in Ravenna, OH. Ohio Liability insurance covers the costs of legal fees, including court costs and the resulting award, if any is made. Imagine the peace of mind you gain by not having to worry about the attorney costs as the liability case grinds on. Worried about the cost? Don't be. Liability insurance in Ohio is customized for your business so you only pay to protect against the risks you face day-to-day in your business.